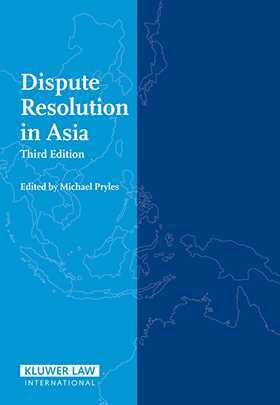 Prized by practitioners since the first edition appeared in 1998, Dispute Resolution in Asia provides a much wider spectrum of Asian laws and approaches to dispute resolution than is traditional in comparative studies. It examines arbitration, litigation, and mediation in thirteen countries, with detailed practical essays each written by a senior lawyer with vast knowledge and experience of dispute resolution in his or her own country. Contributions vary in style and content and thus reflect the diversity of legal systems and cultures in Asia. The third edition of this popular book has been expanded by the inclusion of a chapter on Korea and a discussion of investment treaty arbitrations. All chapters have been revised and updated to incorporate recent developments, such as the enactment of relevant new legislation in Malaysia. Statistics on arbitration centres in Asia are also included.